Bentley sits patiently at the door and lets me clip his leash on his collar. Pierre is a totally different story. First, he has to wear a harness because he wants to go confront the imaginary monsters. That leads to him choking if I had his leash attached to his collar. Second, he can’t hardly stand still to put on his harness and then attach the leash. He gets the harness on and then runs around the coffee table like the hyper Westie that he is! 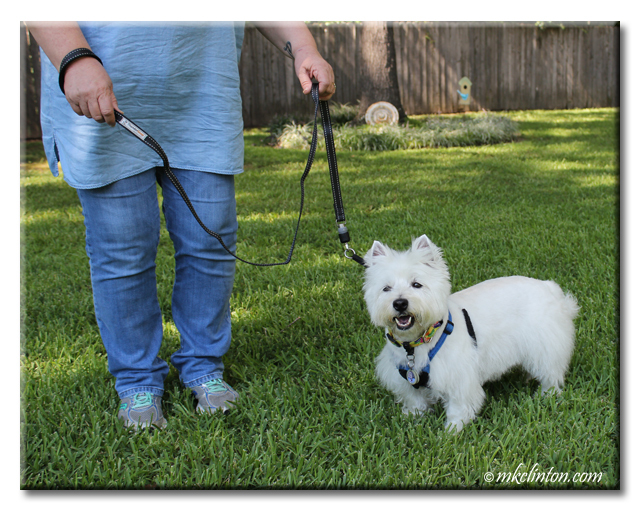 This happens several times each night so when I was asked to review the Quick-Connect ThunderSnap® leash by the makers of ThunderShirt®, I pounced on the opportunity! What Makes the ThunderSnap Different? I’ll admit it; we have a LOT of leashes. Each of them serves a distinct purpose for me. The difference in the ThunderSnap is how easy it is to connect. The patented design features a Collar Cap with powerful magnets and a strong ball-bearing latch that is simple to attach to any collar or harness. • It is so easy to connect to an excited Westie! 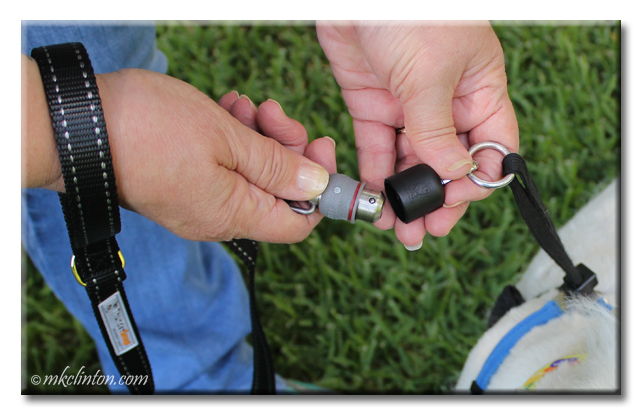 • I can release the leash with one hand which is great when I have both dogs at one time. 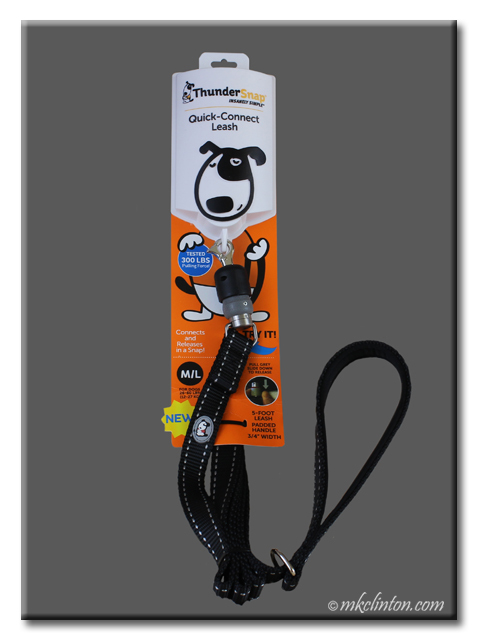 Fetch your ThunderSnap leash today on Amazon! Woo Hoo! It is Amazon PRIME DAY! What a great product, it'll save me hanging around for 87 hours while the peeps mess around sorting my lead out! Wow - so easy and so fast to connect! I'm not allowed in the yard unleashed when it's dark out either, guys. Pet companies are always thinking of ways to make our lives easier - it's so great! I feel your pain Bentley. My younger sisters are maniacs on leash. They look more like sled dogs than walking dogs. Mom has huge arms from all the muscles she needs to keep hold of those two. I walk like a lady and don't even need a harness as I don't choke myself. That least is interesting. Never heard of it before. Wow, 500 pounds! It is amazing that it is that strong! It sounds purrfect for your wild Westie with his nighttime monsters. Sounds great! We were a bit worried at first that a magnet might not hold a terrier, but that's incredible. That looks like a great leash. That's a pretty interesting leash, I've never seen it before. Sounds like it is helpful with a very excited dog! Phoebe is like that too, she gets super jacked up when she sees the leash. I always have to spend time waiting for her to calm down, taking an excited dog for a walk isn't a good way to start! Thanks for sharing.